Bring the quinoa and water to a boil in a saucepan over high heat. Reduce heat to medium-low, cover, and simmer until the quinoa is tender and the water has been absorbed, about 15 to 20 minutes. Set aside to cool. Preheat an oven to 350 degrees F (175 degrees C). Heat the olive oil in a skillet over medium heat. Stir in the onion; cook and stir until the onion has softened and turned translucent, about 5 minutes. Add the garlic and cook for another minute; remove from heat to cool. Stir the turkey, cooked quinoa, onions, tomato paste, hot sauce, 2 tablespoons Worcestershire, egg, salt, and pepper in a large bowl until well combined. The mixture will be very moist. Shape into a loaf on a foil lined baking sheet. Bake in the preheated oven until no longer pink in the center, about 50 minutes. 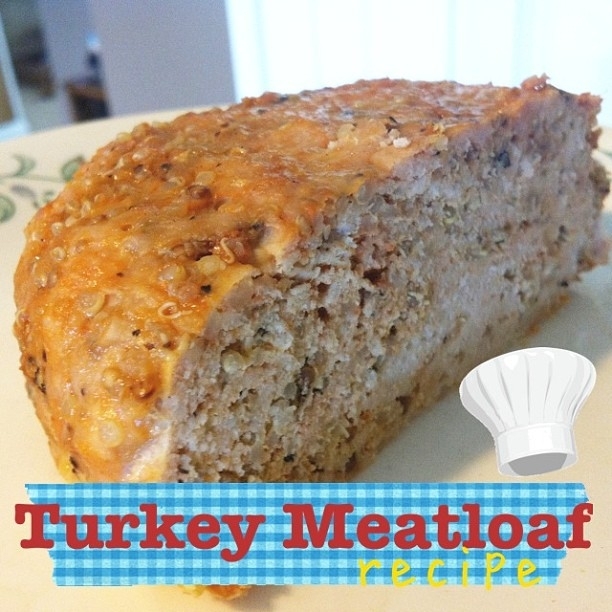 Let the meatloaf cool for 10 minutes before slicingðŸ”ª and servingðŸ›.